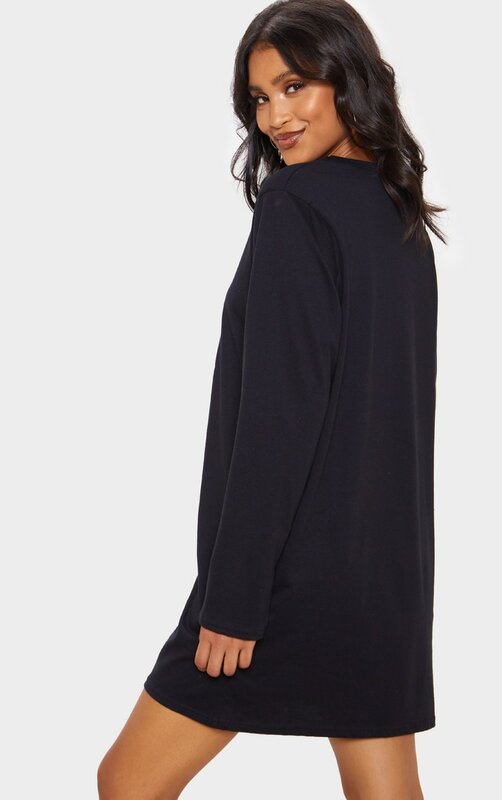 This t-shirt dress is perfect for any chilled off-duty plans. 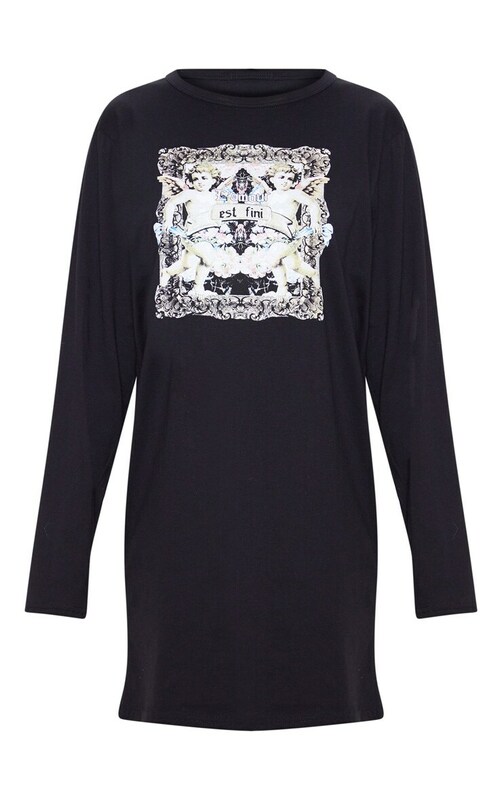 Featuring a black material with a Cherub graphic print on the front, long sleeves and a loose fit, what's not to love? Style with some chunky lace boots for a look we're loving.